The World Bank has approved $80 million in grants to Somalia to fund public finance reforms, marking the first disbursement to the government of the conflict-ridden country in 30 years, the bank said. It reopened direct ties with Somalia's federal government in early 2013. "They represent a milestone in Somalia's development and reconstruction," the bank said. 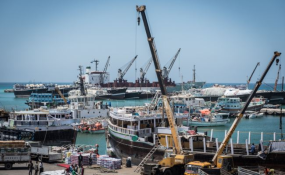 Somalia's economy was forecast to grow by an average of between 3.5 and 4.5 percent annually in 2019-2022, when the partnership on social services will run, the bank said. "While agriculture is key to the economy, it remains vulnerable to shocks. As such, services will continue to be a main driver of growth, especially in the financial, transport and communication and trade sectors," the lender said.